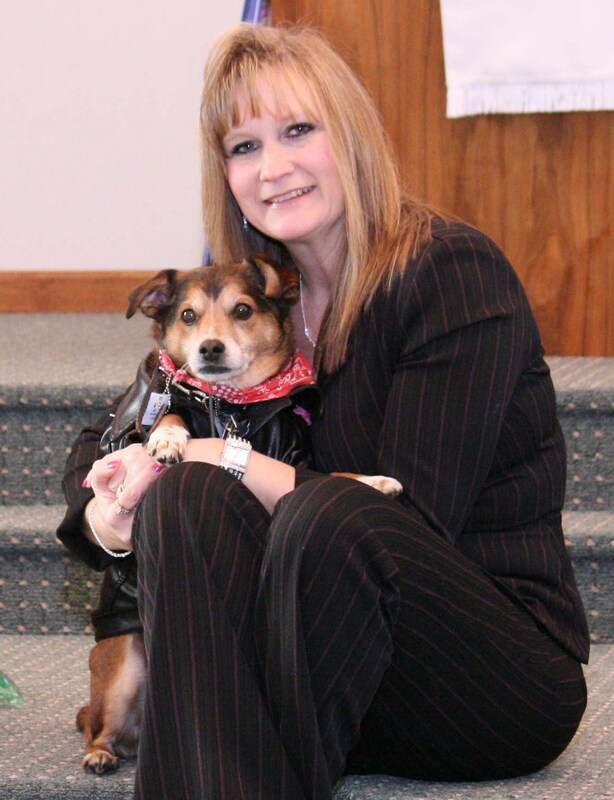 Snickers, a Jack Russell Terrier mix, from Owosso, lived a legacy that will continue on. He started out as a runaway, abused dog, but ended up rescuing others. 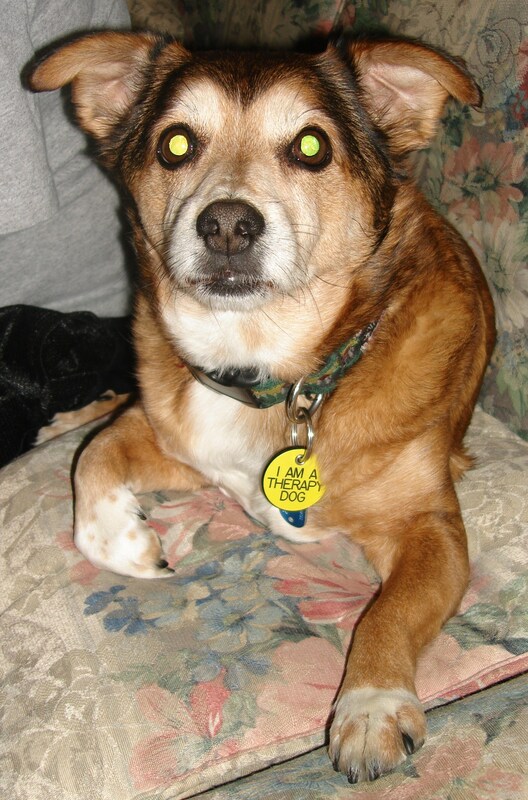 Through adopting Snickers, Freeman’s eyes were opened. 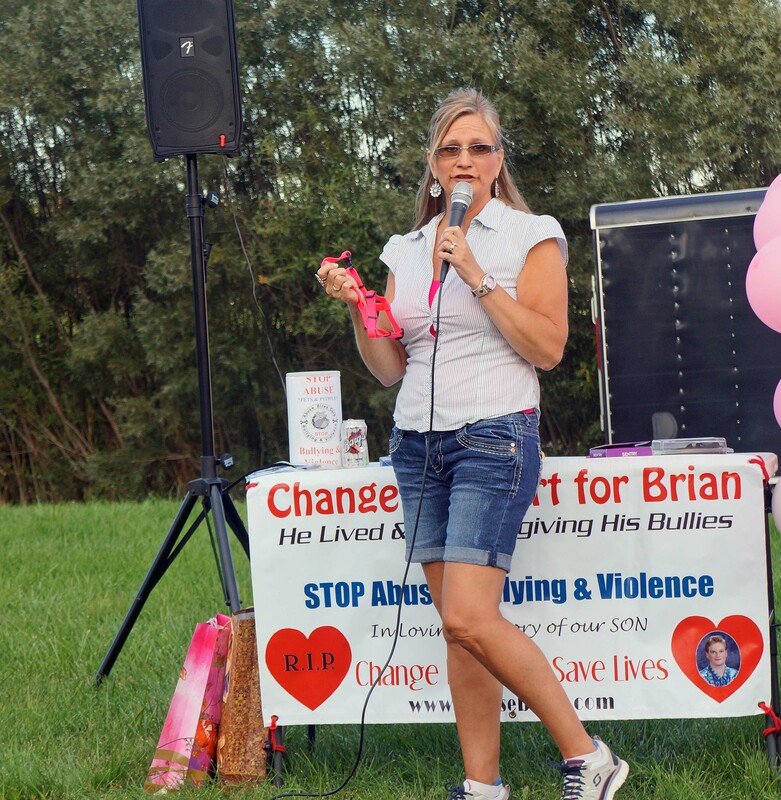 “Snickers and I were both abused runaways,” she said, “and abuse and bullying were huge and had affected my whole family.” That’s when she says she got the idea for the Abuse Bites program to stop abuse, bullying and violence. 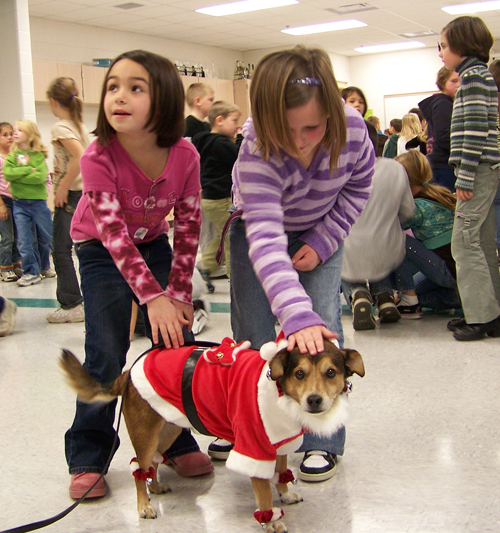 Snickers became the mascot of the program, AKA “The Bully Buster”. Soon the pair began educating students and adults in schools, churches and communities. Snicker’s was a natural with both children and adults. 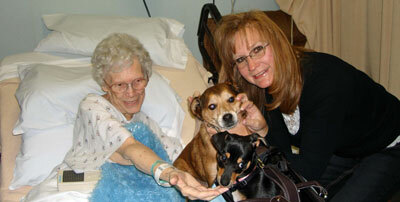 When Lisa took him to the nursing home to visit her mother, he brought smiles to every face. With only ten days of training, Snickers passed the test and became a Certified Pet Therapy Dog through Therapy Dogs International. He won two awards his first year for logging on more than 150 visits! 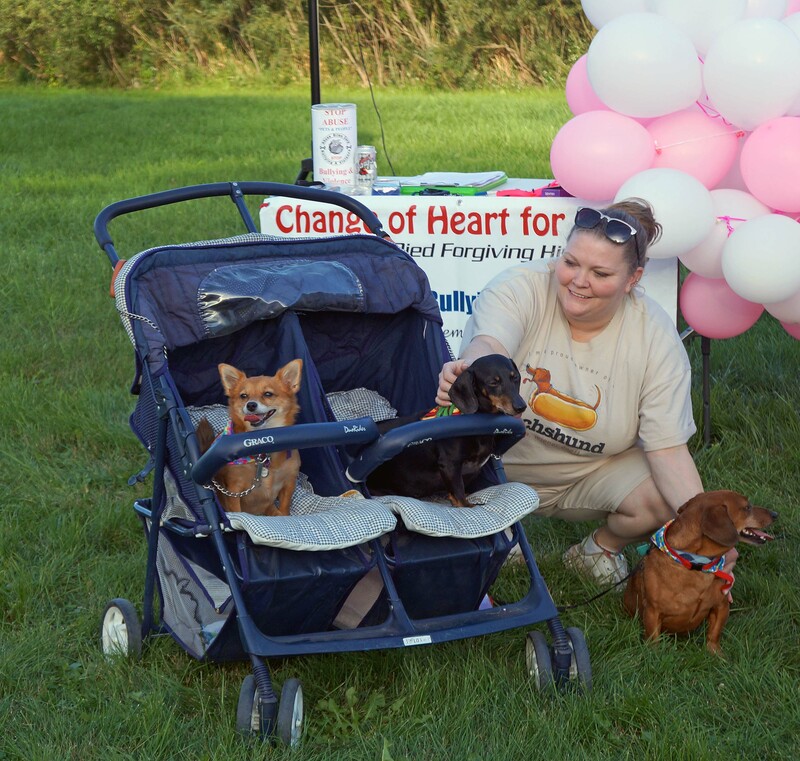 From there, Snickers helped train other dogs, walked in parades, and traveled to other events. 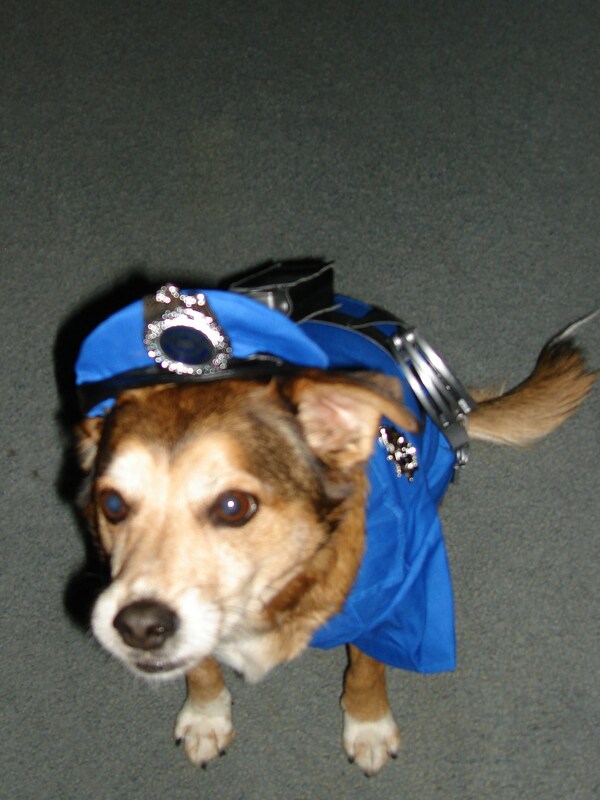 Snickers wore many hats throughout the years. At Easter, he even wore a bunny suit and was known as the Easter Beagle. 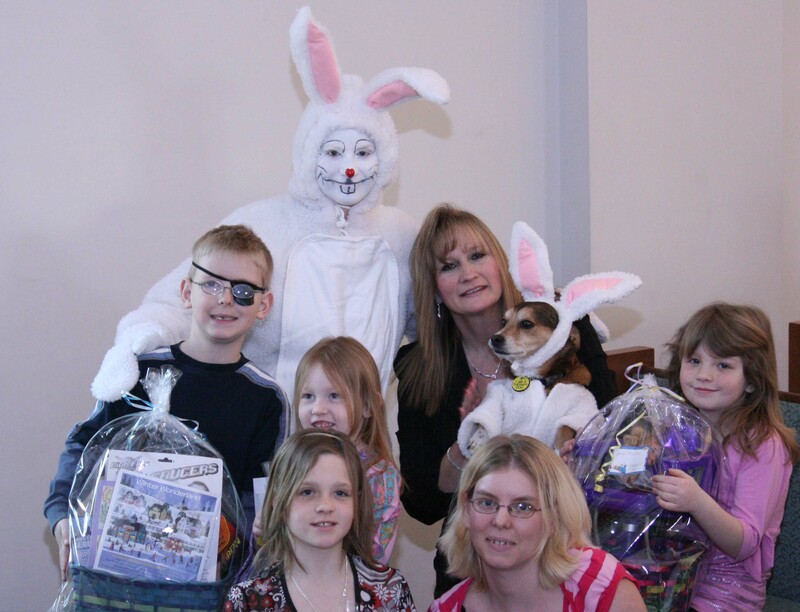 He raised over $15,000 to help needy families with Easter. Children and adults both loved him. He continued to win hearts and awards everywhere his paws tromped. He won Most Photogenic in the Williamston Dog Days Event, took First Place in the Halloween costume competition at Gilberts True Value in Owosso, 2nd place in the Curwood Dog Show, received Chairman’s Choice twice for the Kids in Curwood Parade, and after raising $5,000 for needy/abused pets which counted as votes for the Shiawassee Humane Society, he was also named the first Mayor of the Year. 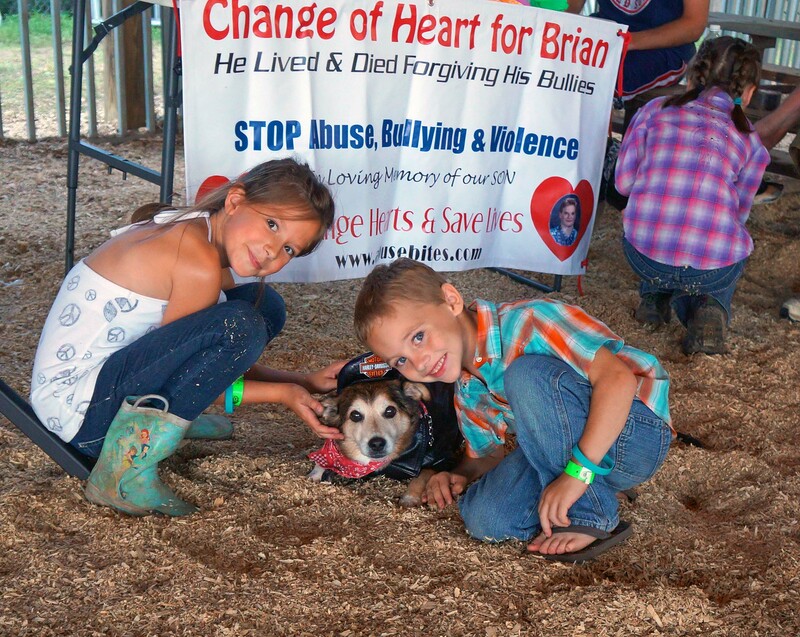 In his memory, his family has set up the BULLY BUSTER FUND to rescue people and pets, train dogs, and do anti-bullying assemblies and workshops. 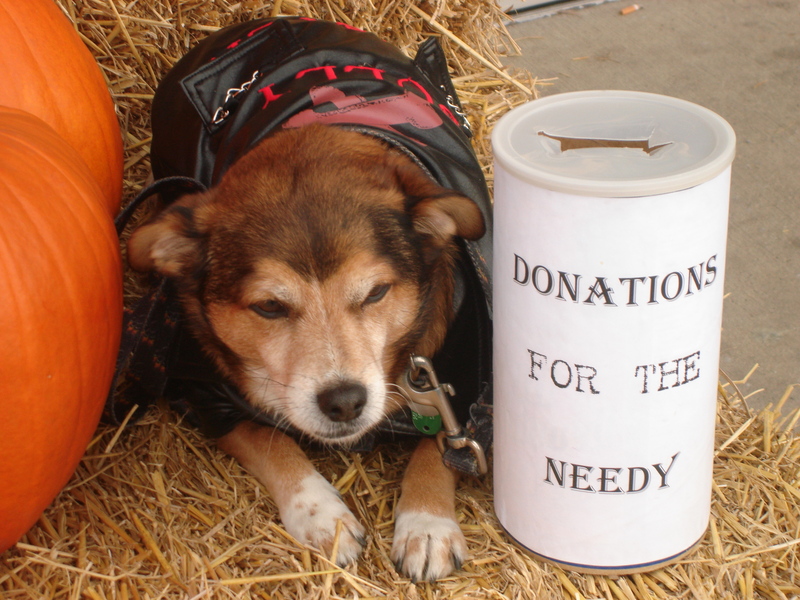 For more information, log onto www.DogsPawsForHealing.com, email lisafree@DogsPawsForHealing.com, or send checks payable to: Abuse Bites, Bully Buster Fund, PO Box 1582, Owosso, MI 48867. All donations are 100% tax deductible. 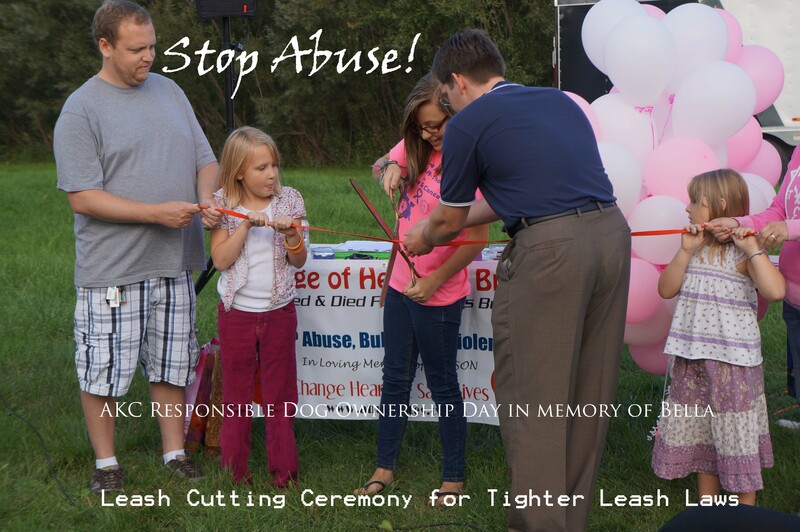 Leash Cutting for Tighter Leash Laws! 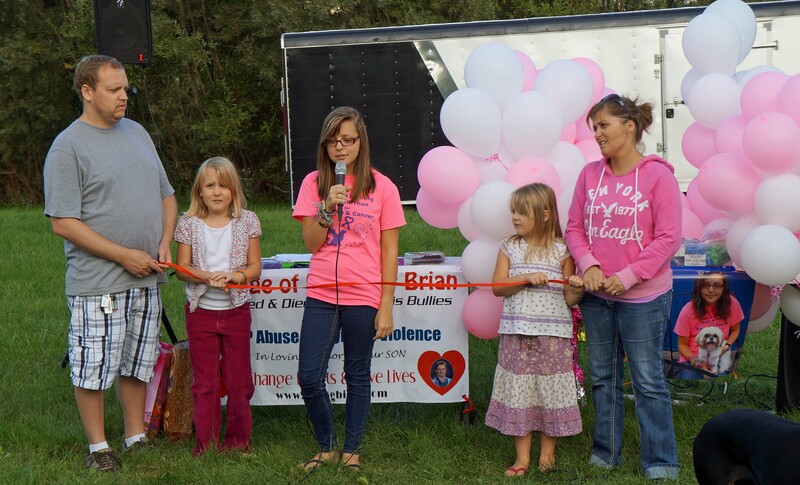 It wasn’t the typical ribbon cutting ceremony when the community gathered together in a grassy field on the south east corner of Owosso, Michigan on Saturday, September 28, 2013. Madison Godley, 14, and Mayor, Benjamin Frederick, worked together, cutting a red leash to symbolize the recent tragedy of a pup shedding her innocent blood in the city of Owosso. When Madison’s puppy, Bella was brutally attacked and killed by two other dogs, who were unleashed just a block from her home, the owners were merely ticketed and told to keep their dog on a leash for ten days. 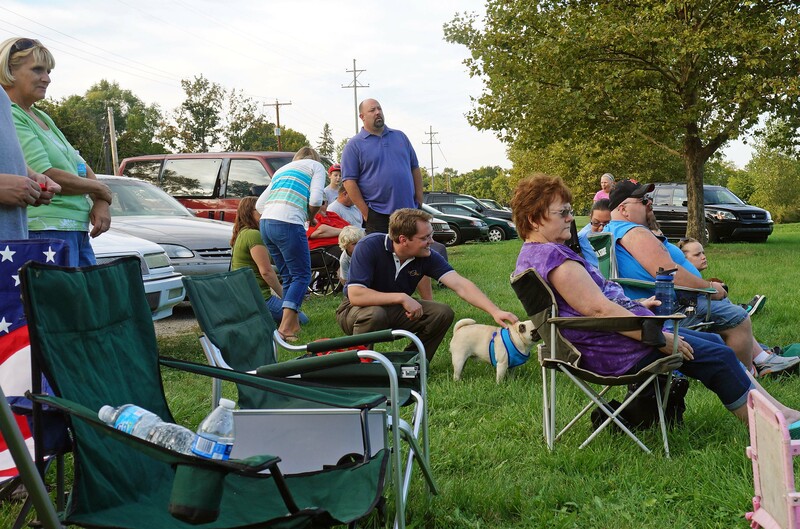 Madison is hoping now for a brighter future for this community, dogs, and their owners. 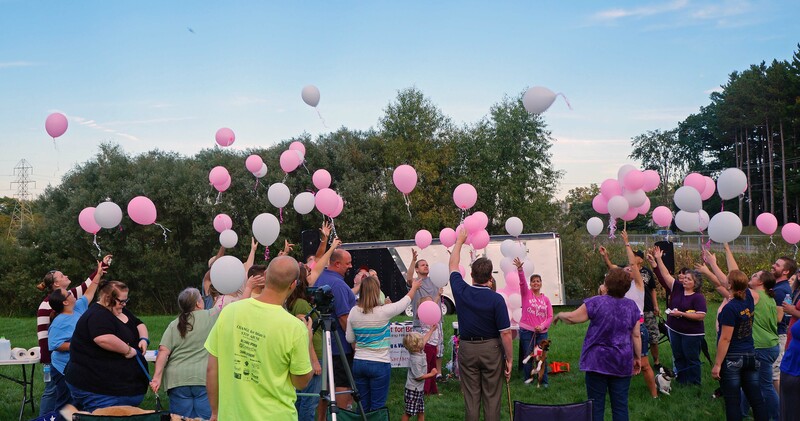 Mayor Ben Frederick gave a special speech of apology to Madison and her family on behalf of the entire City Council. “Please accept our sincerest condolences,” he said. “I can’t even imagine what you must be going through. 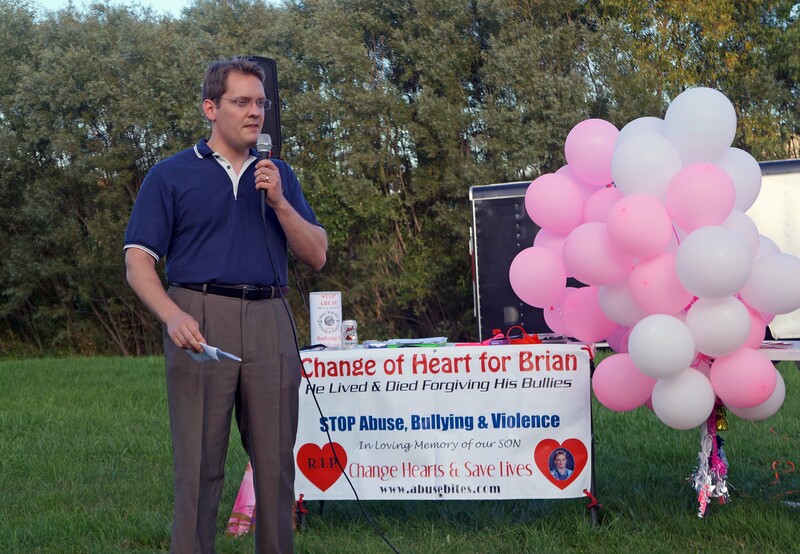 But I commend you for being a responsible pet owner and doing what you did with Bella.” He emphasized that the owners of the other two dogs were being pursued for prosecution on at least two accounts and assured the community that this issue was being taken seriously. “We are doing everything we can so things like this won’t happen again. One of our council members was even attacked by a dog recently, so we’re aware of the problem.” He suggested that we, as a community, work together by helping one another when a dog is loose or someone is in danger to intervene and “gently correct” when possible so this does not happen and so we can raise more awareness about the leash law. 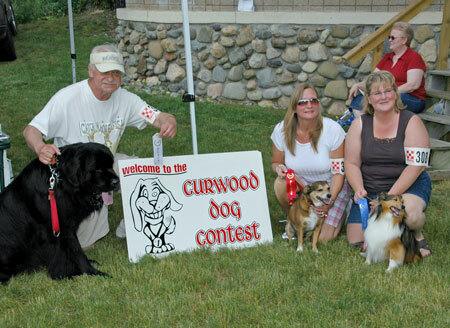 The leash law in Owosso states that all dogs must be leashed unless they are on the owner’s property or in a dog park.